The nursing assistant schools in Warsaw, Indiana that are currently listed here are all the authorized facilities that are available for enrollment as of the making of this post. If you know of other state approved training centers that are offering instruction, you can send them to us and we will add them here. The first step in becoming a nursing assistant is to find a training program to enroll in. To ensure that you will receive top quality training, you have to choose only a program that is approved by the state of Indiana. This will also make sure that you will be allowed to apply for the license exams after you complete your training. CNA training programs are found all over the state. They are offered by different training facilities such as technical colleges and healthcare centers such as nursing homes. According to the rules, these programs must be able to offer their students a total of 105 training hours. These hours should be composed of 30 hours of classroom instructions and 75 hours of clinical experiences. This will take you up to 2 months to complete, but may go over that time depending on your program schedule. After completing your training, the next step for you is to apply for the license exams. Ivy Tech Community College conducts the exams and they can be reached to schedule a testing date at 317-917-5948. The test is comprised of two separate parts of which you must complete both portions to pass. Once you pass both of the tests, your name will be entered in the state’s online registry. Your name must be in the registry if you want to be eligible for work as a nursing assistant in the state.You can call the Indiana State Department of Health Training by dialing 317-233-7616 to learn more about course requirements and what you must do to qualify for certification. 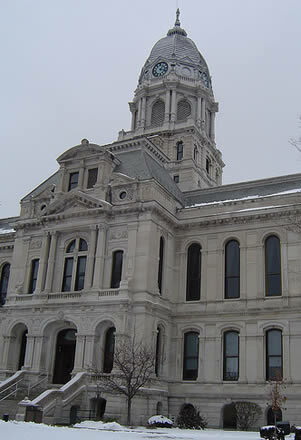 Warsaw is the county seat of Kosciusko County. It is sometimes called as Lake City, or the Orthopedic Capital of the World. Warsaw got the nickname Lake City because that this city is cradles by Pike Lake, Winona Lake, Hidden Lake, and Center Lake. Its name was taken from the capital of Poland. According to the latest census there, their total population was around 13,559 people. It has a population density of 12.91 sq. miles, where 1.34 square miles of it is water.